As a part of its Member Services IPRA has partnered with a number of organisations with long experience in public relations training. Members may select the organisation and training options that interest them from the choice below. More than 2000 public relations professionals train with the CIPR every year. Most of our students are not CIPR members, and 98% of our delegates recommend us to their colleagues. We have courses in Leadership and Management, Financial Management, and Crisis and Reputation Management, as well as in core Communications skills. Our main training offer is in London, with a smaller range of courses available in Scotland, the Northeast of England and other English regions. We also organise in-house training for organisations both in the UK and in other countries. This can mirror the training in our open courses, or it can be more specialised, and tailored to your organisation’s needs. All our courses have a practical focus, meaning the skills, techniques and best practice covered in our training can be used with immediate effect upon returning to work. We deliver content rich, cutting edge and relevant learning experiences which deliver benefit for both the organisation and the individual. For those limited by distance or cost, the PRCA has developed a series of highly interactive 90-minute Webinars. Delegates attend these sessions live online. We deliver over 50 courses in London, with the ten most popular of those also being offered at training centres in other UK cities. Any one of our courses can be tailored to the specific needs of your team and brought in-house at a time that is convenient to you. PRCA Qualifications is a structured programme of professional development. The Academy was founded in 1991 as a provider of PR and Journalism courses. During the last 26 years, the Academy has developed a valuable suite of online courses, with special video and audio content, which is taught worldwide. We currently have graduates in 47 different countries. In addition to PR and Journalism, we offer online courses in Radio Journalism, Mobile Journalism, Event Management, Social Media Marketing and English Grammar. Our courses are taught in six different languages: English, Spanish, French, Polish, Arabic and Russian. The Irish Academy provides industry professionals worldwide with the opportunity to develop and enhance their communications skills. We all need to continuously improve our knowledge and skills. If you are up-skilling, our online courses will surely meet your needs. Our tutors are highly-skilled professionals who work in industry and provide one-to-one tutoring to our students. Follow the links to the organisation of your choice and follow their links to training information. If you have questions about the training contact them directly – IPRA can’t help you! Once interested contact the organisation either via their website or by email, declaring you are a paid-up IPRA member. This will entitle you to a special rate for the training. The organisation will check back with IPRA and then confirm the rate to you. Good luck and good learning! 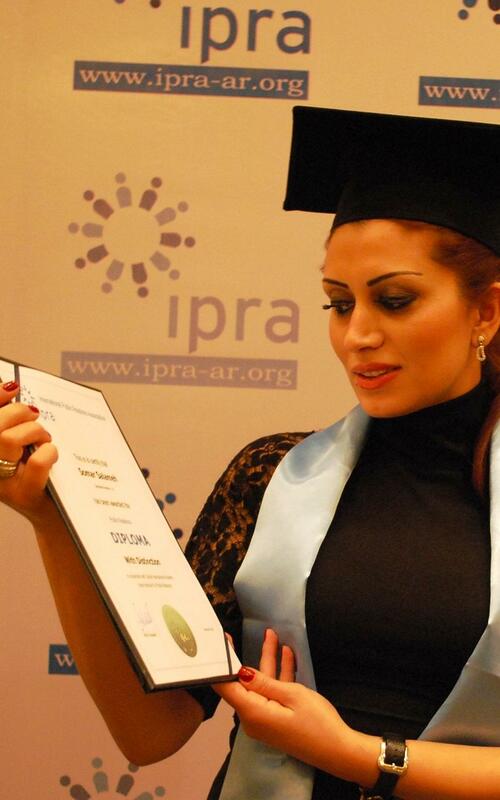 IPRA has an agreement with the Arab Institute for Public Relations in Lebanon for training for a PR Diploma. This course is in Arabic and applicable to certain Arabic-speaking countries.